A 3D model of an embankment is used as a visual during this lecture. 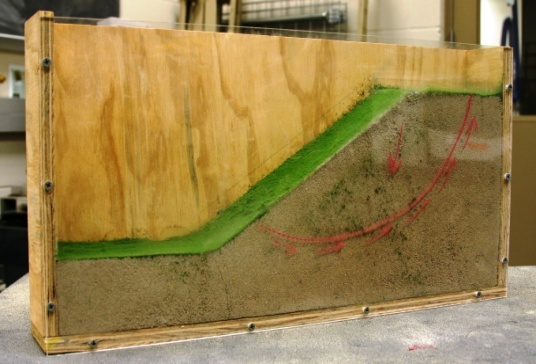 The model is housed inside of a box that has a clear, acrylic front side so that the profile of an embankment slope can be viewed by the students. As the instructor works an example problem in class, she utilizes a grease pencil on the front of the model to draw an example failure surface and discuss the concepts of an equilibrium analysis.